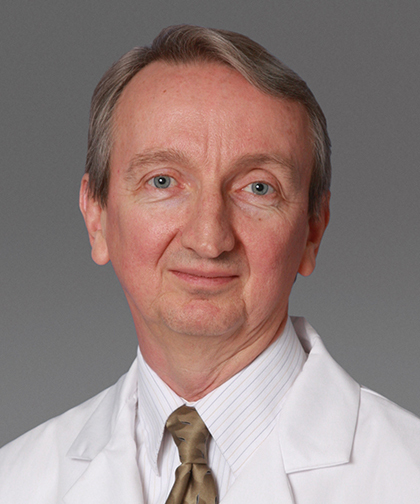 John F. Thompson, MD, is Chief, Division of Pediatric Gastroenterology, Hepatology and Nutrition at Children’s Hospital at Montefiore (CHAM) and Professor of Pediatrics at our Albert Einstein College of Medicine. Dr. Thompson specializes in short bowel syndrome, Crohn’s disease, ulcerative colitis, celiac disease, eosinophilic esophagitis, feeding disorder, and chronic abdominal pain. Dr. Thompson graduated from the College of the Holy Cross with a B.A. and M.S. in Chemistry. He was awarded his Doctor of Medicine from Loyola University Stritch School of Medicine in 1977. He completed a residency in Pediatrics at Wyler’s Children’s Hospital, University of Chicago Hospitals and Clinics in 1980, followed by a fellowship in Pediatric Gastroenterology and Nutrition at Babies Hospital, Columbia University Medical Center. Dr. Thompson was Chief of the Division of Pediatric Gastroenterology and Nutrition in the University of Miami Miller School of Medicine for 15 years before he was recruited to CHAM in 2009. Under Dr. Thompson’s leadership, the Division of Pediatric Gastroenterology, Hepatology and Nutrition at CHAM has shown remarkable growth and is now one of the premier programs in the country with expertise in inflammatory bowel disease, hepatology and liver transplantation, therapeutic endoscopy, intestinal failure, celiac disease, aerodigestive and eosinophilic gastrointestinal disorders.